Omega Tours is located in the stunning Cangrejal River Valley, located in between two National Parks: Pico Bonito and Nombre de Dios. 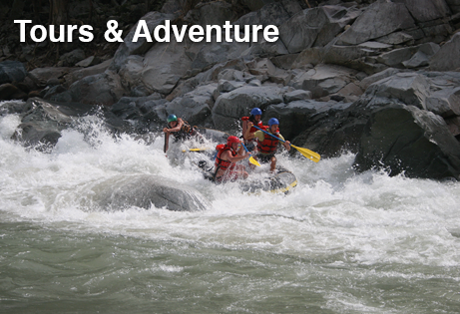 Omega Tours is known for extraordinary white water rafting and its great variety of amazing nature trips. As well as stunning accommodation and cabins, friendly service and last but not least, delicious meals. Omega Tours is a sustainably grown business and started as a white water rafting, and kayaking, company with an adventurous spirit, pioneering the Cangrejal river valley and other wilderness areas all over the country. It is still operated by the German owner, a former member of the German national kayaking, and rafting, team who started Omega Tours. This is the first business of its kind in Honduras. 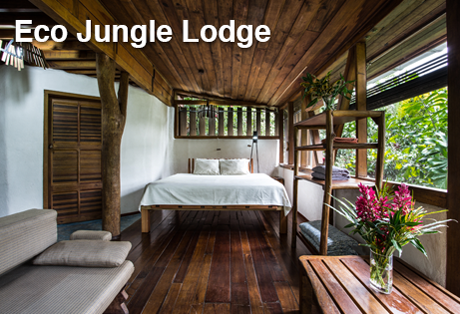 The lodge is situated where the white water adventures and the other tours start. We are tucked away from the road in the middle of the jungle and feature natural swimming pools and hiking trails on site. 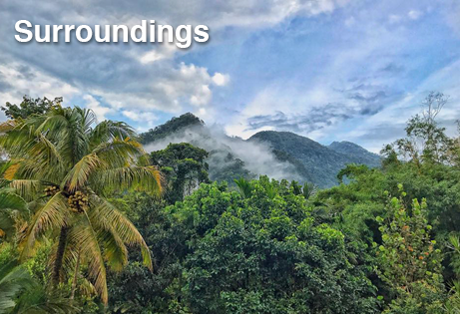 The surrounding area is like a botanical wonderland with a wild collection of fruit, ornamental and medicinal plants. Open for tours, accommodation and exquisite meals every day of the year. Our restaurant La Jungla is open from early morning onwards for breakfast, lunch and dinner. 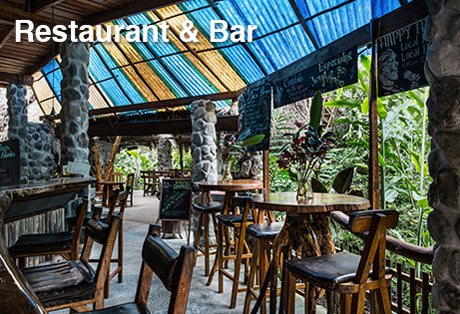 This is the perfect choice if you are looking for organic, quality, healthy and deliciously tasting food in an open air jungle atmosphere.